Development of a milling machine for micro-manufacture. Development of the first milling machine of its kind in the country and in-depth knowledge of new techniques of micro-machining. 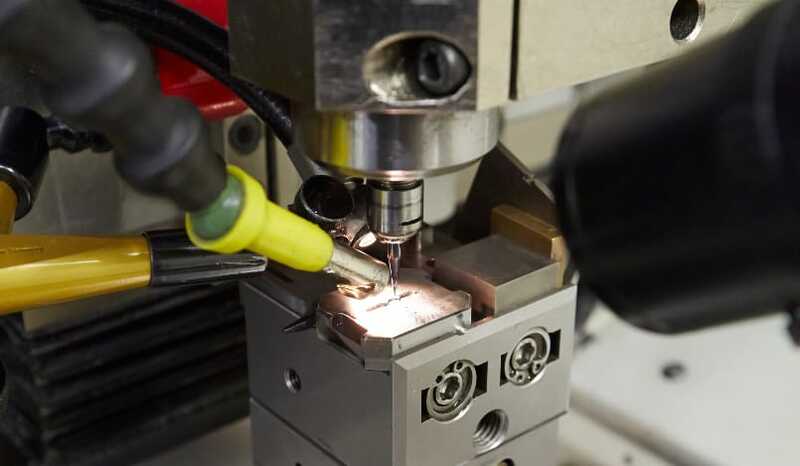 In this project the first milling machine in the country for micro-machining applications was developed. In order to have very small and precise movements the usual drives (friction or rolling guideways) are substituted by aerostatic drives, whereby the maximum friction is reduced. This prototype enabled in-depth knowledge of new micro-machining techniques, opening a new line of work at IK4-TEKNIKER and known as “Ultraprecision Processes”.